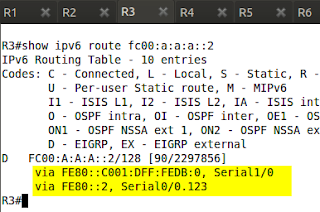 Configure IPv6 addresses between R2 and R3 on their Serial1/0 links. Enable EIGRPv6 AS 1 on these interfaces. Follow the IPv6 addressing scheme used in previous labs. Configure Frame-Relay Connection between R2 and R3 so that EIGRPv6 thinks it is a half the speed of Serial1/0. Enable unequal cost load balancing between R2 and R3. Pic. 2 - Interface Speed Before the Adjustment (both). 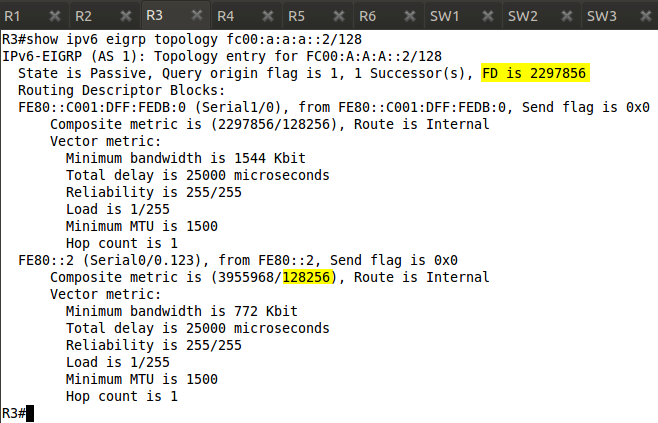 Check if the second link (Serial0/0.123) is a Feasible Successor. Pic. 3 - Picking FC00:A:A:A::2/128 for Feasible Successor. 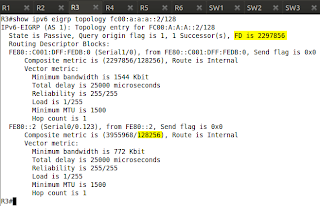 Frame-Relay connection is the Feasible Successor (AD < FD) which is pre-requisite for un-equal load balancing. Currently, R3 has only one next-hop address towards FC00:A:A:A::2/128. Pic. 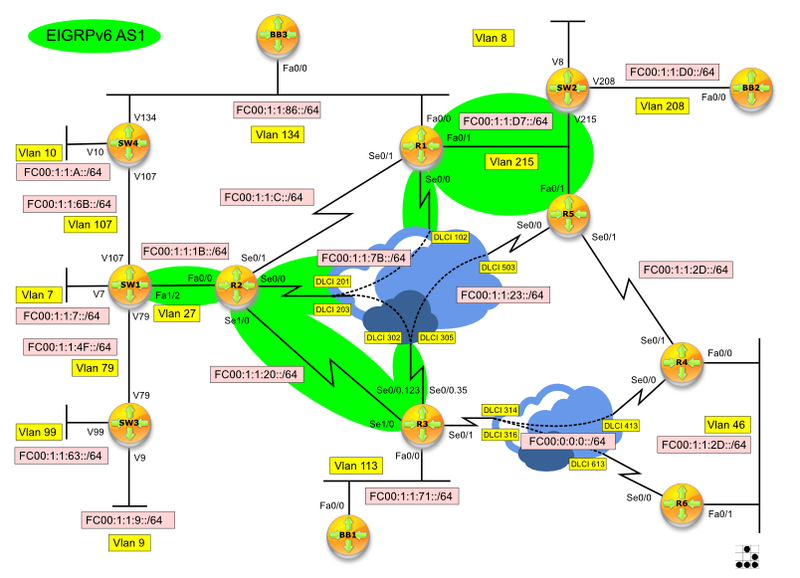 4 - R3's Path for FC00:A:A:A::2/128. Pic. 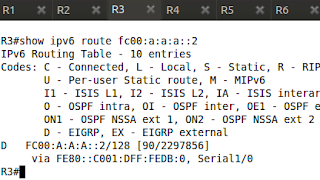 5 - R3's Path for FC00:A:A:A::2/128.